After a fallow period of decades, in the early 21st century, it became apparent that Chinese art was finally retaking its rightful place at the forefront of the international contemporary art scene, in large part thanks to the Yunnan Art School. 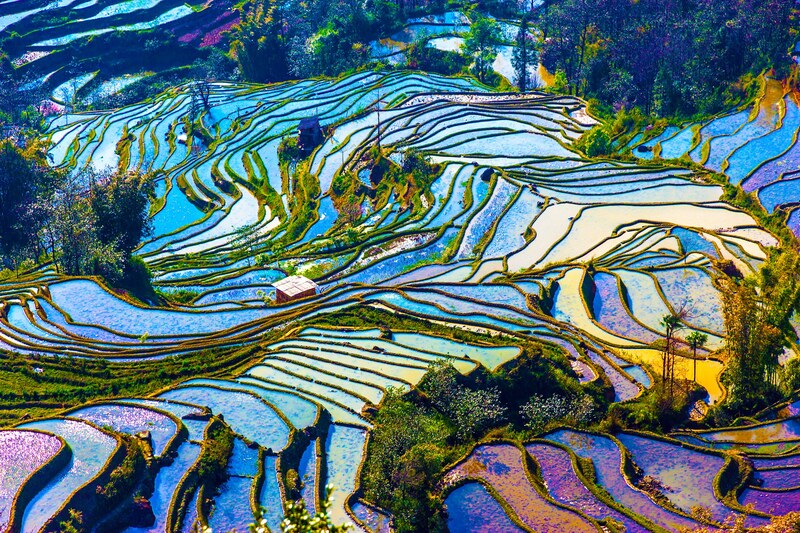 This province in the far south-west of China, with its exotic subtropical landscapes and natural beauty, has long been a font of artistic inspiration. Within the last few decades, however, its growing importance as an artistic centre - with its own provincial artists association and printmakers association - has come to be more widely recognized by Western and Asian art lovers. With his many decades of distinctive artistic practice behind him, resulting in the production of colourful, magnificent and diverse works that perfectly combine traditional and modern Chinese elements, He Neng has been rightfully acknowledged as one of the founding fathers of the School. 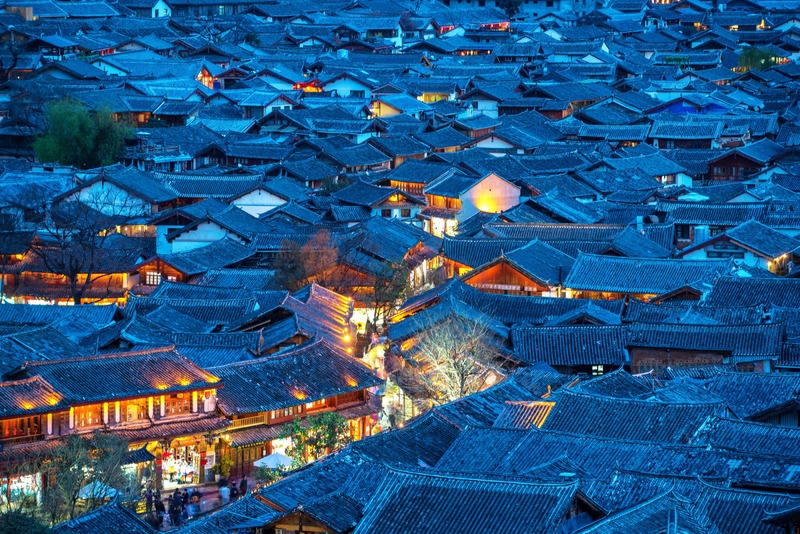 If the Yunnan province, with its rich cultural history and persistent reputation - even among many Chinese today - as a faraway wilderness, has no shortage of mythical associations, He Neng's art can certainly be said to reflect such associations. Bright and vivid colour is a hallmark of He Neng's work much as it is of the Yunnan Art School as a whole, suggesting something of China's infinitely intriguing distant past. Even the artist's words seem to encapsulate the mysterious and free-flowing spirit of Yunnan: "I let the brush strokes follow the fluctuation of my thought and emotion; my result is unexpected. I strain to emancipate myself from the confines of the tangible world - I struggle and am never satisfied." We would suggest that He Neng certainly should be satisfied, at least with an artistic career trajectory that is one of the most incredible of today's living Chinese artists. Born in Chendu, Sichuan in 1942, He Neng quickly showed artistic promise, leading to his attendance of the high school affiliated with the Sichuan Academy of Fine Arts and eventually the Academy itself, from which he graduated in 1965. With He Neng's graduation coming on the eve of Mao's Cultural Revolution, the young artist soon found himself assigned to Kunming, where he would be tasked with the production of political propaganda during the nationally troubled years ahead. He became art editor for the Yunnan News Agency, followed by a role as set designer for the Yunnan Opera Company and eventually in the Yunnan Film Studio. He also won acclaim for his book illustrations. The 1980s proved an especially momentous decade for He Neng, as he was transferred to the Yunnan Artists Association and in 1981, presented with the opportunity to join the faculty of the Yunnan Art Institute, where he remains a professor to this day. That same year also saw his participation in the controversial Ten Yunnan Artists exhibition at the National Art Gallery in Beijing. 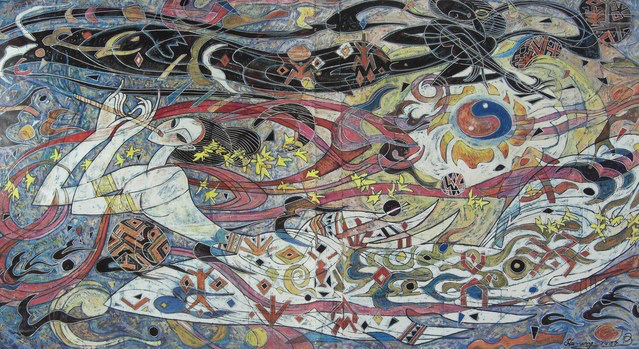 By this point, it was becoming clear that the unique artistic traditions and practices of the Yunnan Art School could not be ignored. This was further demonstrated by the 1982 Heavy Color exhibitions in Hong Kong and Singapore, in which He Neng triumphantly participated and which elevated wider awareness of the School to new heights. 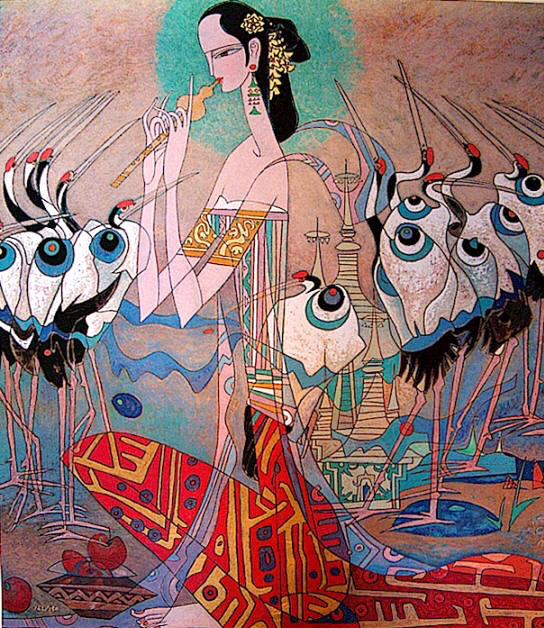 Today, He Neng continues to win the fresh admiration of art lovers based far beyond Yunnan. He has held more than 100 exhibits of his work across the globe, in locations including Hong Kong, Japan, Europe, China, Taiwan and the United States. His paintings feature in a broad range of publications and retain their power and relevance even for those observers who have never before heard of Yunnan and its influential School. If you are considering expanding your art collecting into the domain of one of the most distinguished of all Chinese art schools, look no further than He Neng - unquestionably one of the most esteemed of all Chinese contemporary artists.